Punk rock was dealt a tragic blow this past Saturday with the news of Scott Asheton's passing. The founding drummer of the legendary Stooges, Asheton died of a heart attack at age 64 in Ann Arbor, Michigan, the same town where the band formed in 1967. From 1969's self-titled debut to 1973's Raw Power, Asheton delivered the driving thwack behind "I Wanna Be Your Dog," the unrelenting pummel of "Search And Destroy" — before rejoining the band for their reunion tour in 2003 and contributing up to their latest album, 2013's Ready to Die. Stooges frontman Iggy Pop was quick to pay tribute to his bandmate with a Facebook post to his official page on Sunday morning: "I have never heard anyone play the drums with more meaning than Scott Asheton," he wrote. "He was like my brother." Then, this morning, Rolling Stone posted a lengthy and moving phone interview with Pop, further rehashing his relationship with Asheton. The piece, which the singer apparently struggled to get through without tearing up, is part eulogy for Asheton's musical talent, delivered in Pop's trademark blunt poetry ("Scott played drums with a boxer's authority") and part reveal of all those little biographical details you never knew, like how the drummer also loved birdwatching and bow-and-arrow hunting ("He looked like the Marlboro Man," Pop recalls). 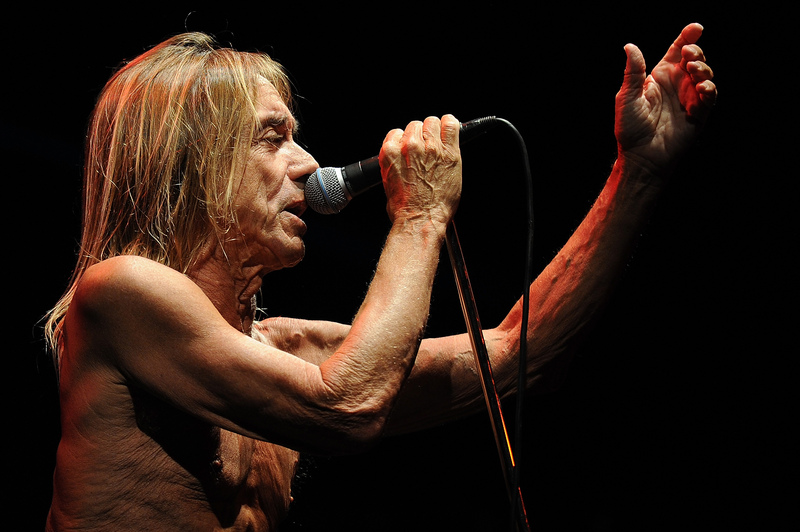 But even beyond all that, the article confirms yet another layer of this rock tragedy: the fact that Iggy won't be touring again anytime soon — and even if he does, it almost surely won't be as part of The Stooges. I don't want to say that I'm done with the band. I would just say that I feel like the group has always included the Asheton brothers. When Ron passed away, Scott represented him. [...] I don't feel right now like there's any reason for me to go jumping out onstage in tight Levi's. What am I going to scream about? Though of course his decision is understandable — Scott's passing, following his brother and Stooges guitarist Ron's in 2008, means half of the original lineup is gone — hearing that one of rock's greatest frontmen has lost his reason to scream just cuts that much deeper. When I last saw The Stooges in 2010, Pop was all but indistinguishable from his younger concert videos; at age 63, he dove into the crowd not one but three times, screamed and flailed, never stopped moving — an utter fireball of a performer. Pop describes as much in his reminiscence of the band's early reunion days, circa "2005/6," when he would "bum rush [Ron's] amps and stick my ear right in his amp to get that illicit vibe" — but he also notes that, even aside from the devastating blow of Scott's death, his 50 percent hearing loss is catching up to him: "I can't do that now," he admits. "I have to avoid loud people." Added to Lou Reed's death this past October, the news makes it hard not to sink into a state of punk despair — to feel like like we're all too quickly losing even those who managed to survive the live-fast-die-young ethos that felled so many of their contemporaries. Still, even offstage, there may yet be more Stooges to come: Pop also revealed that this past Memorial Day weekend, he and Asheton sat down for interviews with filmmaker Jim Jarmusch, as part of Jarmusch's ongoing Stooges documentary project. And of course, the band will always live on in their gut-punch of a discography — and, as Pop suggests, with each other: "[Scott] started playing with Ron in their basement with a little equipment and some dreams. Now they're back together again in some sense."